Do the names of the idol groups matter? Some netizens also expressed that the name does not matter at all. 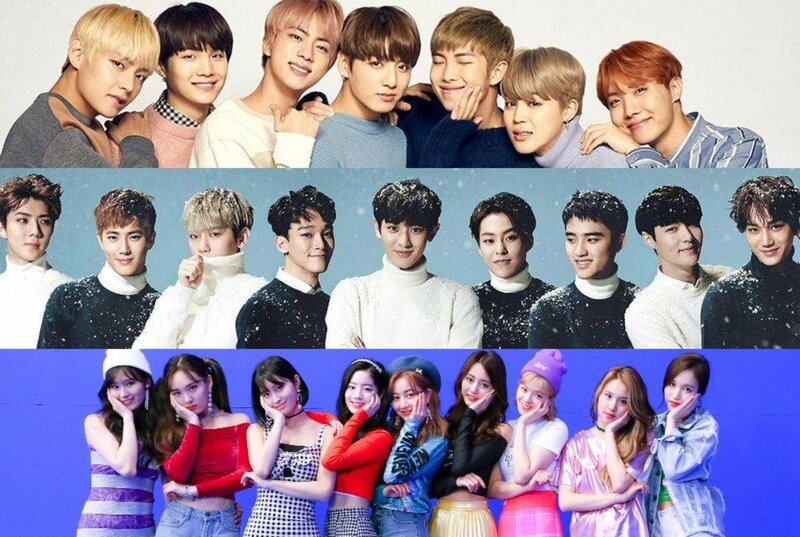 The examples of the group names were: (originally Korean names of groups) TVXQ, Girls' Generation, BTS, G-Friend, MAMAMOO, Cosmic Girls, Gugudan, and more, versus (English names)�EXO, TWICE, Big Bang, Black Pink, Wanna One, WINNER, iKON, NCT, Seventeen, Red Velvet, Lovelyz, and more. Top comments shared were, "Back then, I used to prefer English names all the way, but that mindset changed after BTS (Bangtan Sonyeondan) and G-Friend (Yeoja Chingoo)." "Am I the only one who thinks the names EXO and TWICE are the prettiest of them all?" "I am okay with everything, except for Gugudan ('multiplication times tables')...That I do not understand how they chose to do that." Share with us what you think below!